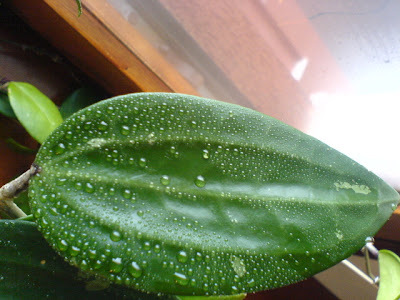 Nice shot with the condensation on the leaf. I love the contours on the H. polystacha leaf. It's a beautiful plant even when not flowering I think.